Short on time? We will train your dog for you during the day, or have fun with your dog in our group classes held evenings or weekends. Our certified dog trainers can help you meet your training goals; training promotes a strong relationship with your dog and improves your ability to handle problem behaviors. 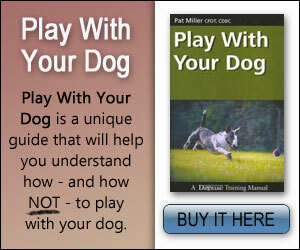 The method you use to train your dog has big effects on the outcome of your training program. Do you use fear and intimidation or respect and teamwork? Fear can breed aggression and intimidation often leads to distrust and more fear. It is better to build a strong bond with your dog, developing harmony and mutual understanding. Good Karma Dog Center unites the science of how dogs learn with reward-based techniques. This method supports trust, teamwork and compassion. Together we will use operant and classical conditioning systems to shape your dog into a "livable" canine companion. 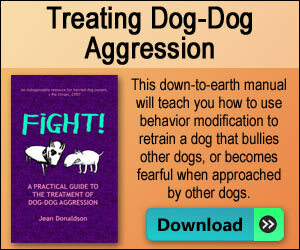 Transform your dog's behaviors by way of guidance and leadership. Harsh methods and punishment are counterproductive. If you want to change your dog, first change yourself. Consider the situation from the canine point of view; after all, who do you love? Your dog of course! Six Week class sessions run frequently. Call Good Karma Dog Center for information on the next session. Cost is $80.00 plus tax (total $85.60). Class size limited to 5 participants. This is a non-competitive agility class aimed at people who need to exercise themselves and their dog, taught by a competition level instructor. It is a great way to bond with your dog, manage stress and keep in shape, meditation if you will, in a different package. You will learn to learn how your dog thinks, how to maneuver obstacles, how to handle your dog off leash with verbal and body cues. It is fun class your dog will look forward to attending. Complete one of the above Agility Registration forms. 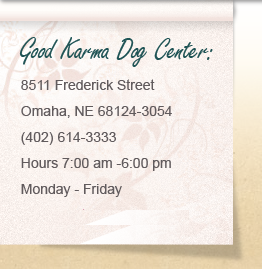 Copyright ©2019 Good Karma Dog Center | All Rights Reserved.